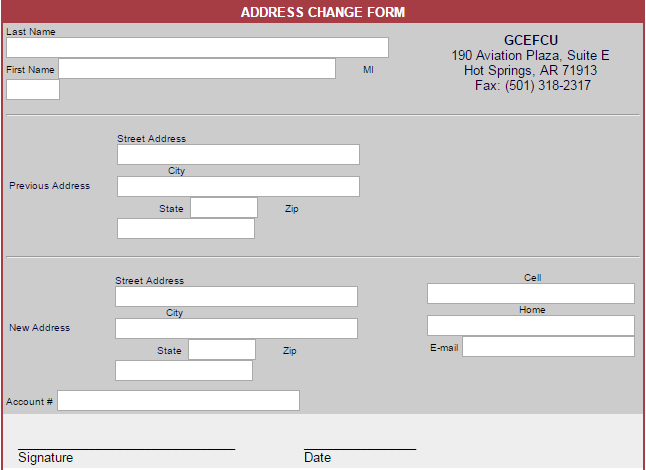 ﻿**Print the forms, fill them out, and return to our office in person or via fax or email. We have several savings options for our members to consider; all of which earn dividends. The following Share Dividend Quarterly Interest rates and Share Certificate rates were implemented March 2016. Interest rates and other terms are subject to change at any time without prior notice. All dividends are calculated by daily balance method and paid quarterly. A penalty is imposed for early withdrawal of Share Certificates. Monthly dormant account fees of $5.00 are charged to Share Accounts with balances under $250.00 and inactivity of more than one year. When you become a member of the credit union a savings account is opened in your name. An initial deposit of $10 is required. All members must maintain a $10 balance in their savings account to remain a member, and demonstrate regular activity in their account to keep it open. A competitive dividend rate paid quarterly on the average daily balance in your savings account. Withdrawals. Members may make up to two (2) savings withdrawals per month free of charge. After two (2) withdrawals in one month a $5 excessive withdrawal fee is charged. Quarterly statements by mail or email. 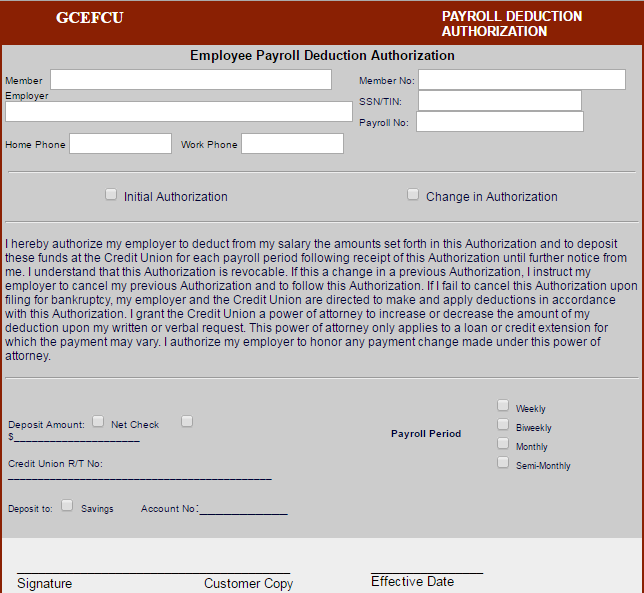 Payroll deduction. You may have deposits to your savings account deducted directly from your paycheck. At GCEFCU, you can save for those special times with one of GCEFCU's special savings accounts. Deposit at your convenience or have regular deposits deducted from your paycheck. You can open a Share Certificate account with a minimum balance of $2,500. Share Certificates of Deposit are available with terms of six (6) months to twelve (12) months. Competitive dividend rates compounded quarterly. The National Credit Union Administration (NCUA) is the independent federal agency that charters and supervises federal credit unions and state chartered credit unions. NCUA maintains and operates the National Credit Union Share Insurance Fund, which is backed by the full faith and credit of the U.S. government. ​At GCEFCU your savings account and certificates of deposit are insured up to $250,000.